The characteristic logo of Spains surf magazine No 1. In terms of surfing Spain does not only shine with thousands of kilometers of coastline and its countless beautiful surfspots. There is also a well done surf magazine that echoes numerous stories that are created by the coasts of this beautiful peninsula. 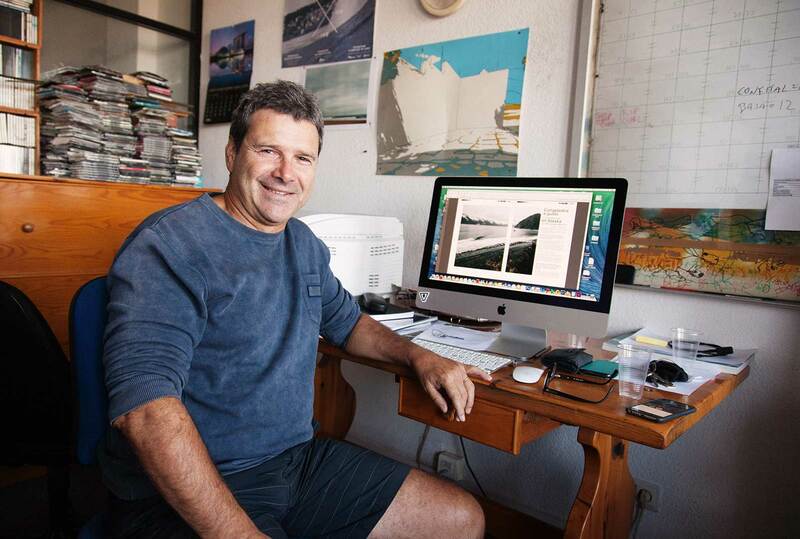 I had the honour to visit the editorial department of 3sesenta – the surf magazine number one in Spain – in Santurzi, where I had an interesting conversation with editorial director Javier Amezaga about the history and the future of this Spanish written magazine, that exists since 1987 and therefore is going to touch 30 years. Javier, how did it come to the name 3sesenta? Well, in the 80s that was the name for that new manoever those days, to do a 360. It was the main trick of the new surfing. It was so new. The top of the top trick. I still like that name so much. 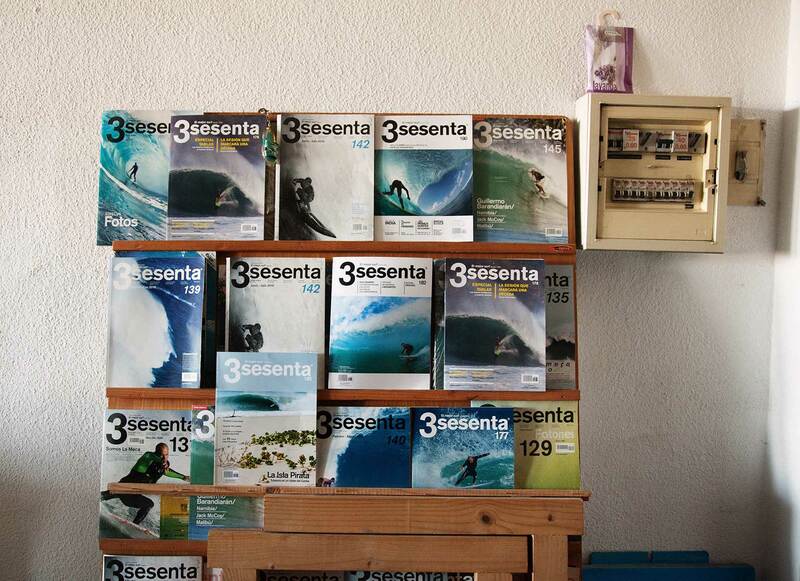 3sesenta is the main surfing magazine in Spain, right? 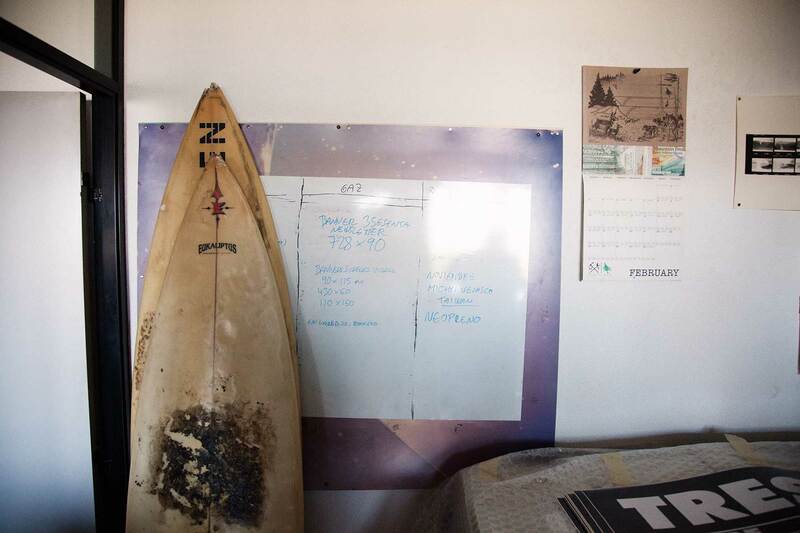 Yes, we have been the first one in Spain and then in the early 90s a new one started, which was called „surfers rule“ and then some others started as well – one on the Canary Islands so there were three magazines from Spain. 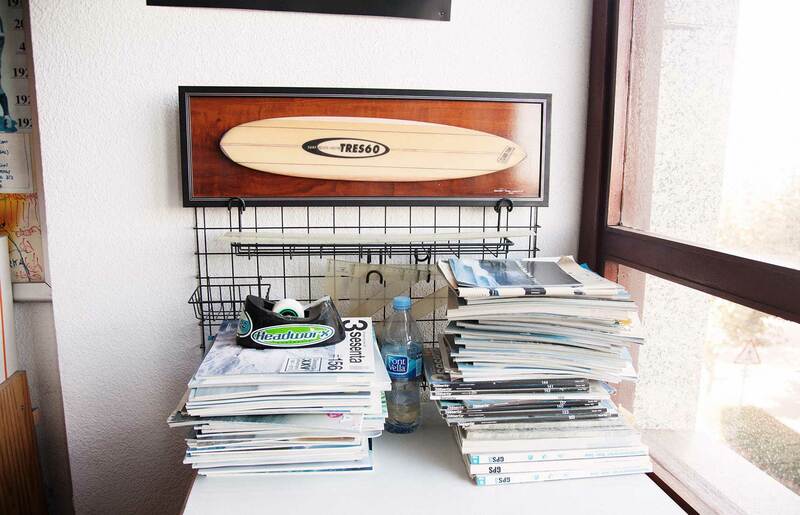 But then because of the internet and the crisis in print some of them closed down – so since 2012 we are all alone in the market here, so you can find just one surf magazine at the newsstand. There are a couple of projects but it´s hard for them to move on, it´s really hard to print anything. Even for us its not an easy time. 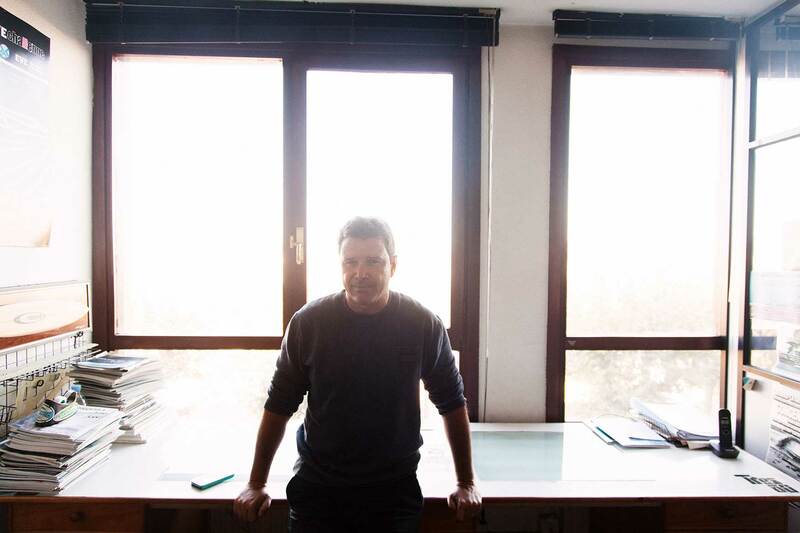 3sesenta is going to touch 30 years – with 187 issues until today. How much work are you putting in online and printed content? It´s more a service for our clients who publish in our magazine. If they send in their content, like photos, stories and videos, we put it online as well. So we are able to offer them the whole spectrum of publishing. Do you have an anecdote of how 3sesenta did started? As the surf industry was really small those days we joined them – I mean we have been just a bunch of surfers, so we all knew each other. One of the members of the company had the idea to start something, so as I have been a specialist in water photography, another guy wanted to help with layouts and design we joined and just started. We had a small support from the Basque Government just to create the company but we needed to use our own money to produce the issue. 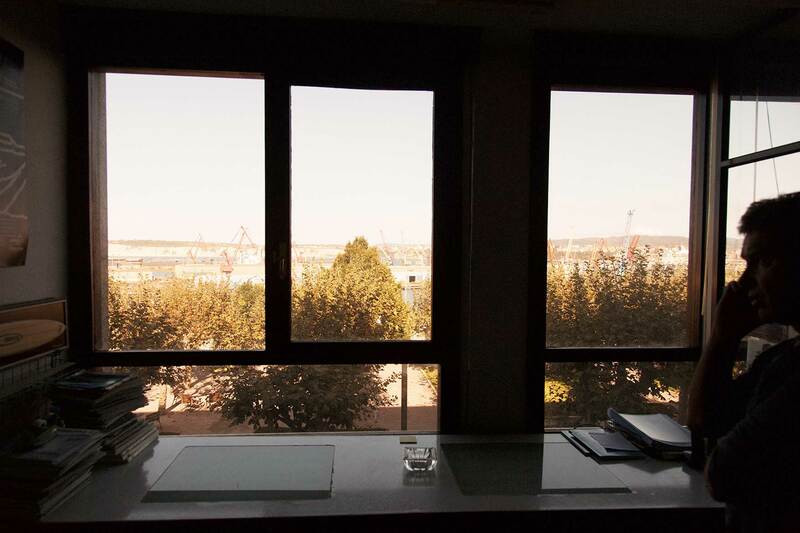 Working with a view onto the harbor of Santurzi. How do you start working on a new issue? We plan for the whole year, not from issue to issue, and we have some issues that are specialized on one subject – for example right now we are working on the new one where the wetsuits are going to be the main part. But that is happening every year, because wetsuits are an important part for the winter. 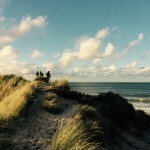 In the End of summer we have a special about surftripps, traveling. And then comes the time with the professional contests in the cities in France and then in Portugal, which is going to generate a lot of content as well. 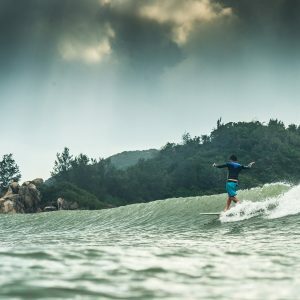 Competition surfing or traveling as a free surfer? Well, we don’t talk a lot about competition, because you can already watch them online. So we just reproduce it online. For example, when the Quiksilver Contest starts, we announce it online and share some news and stories that are happening over there but what we are doing in print with the subject contest, is just to take stories that are not temporaly limited, like an portrait of one of the riders who is doing really well during the competition and maybe could be the next world champion. But back to your question – I think any story can be good no matter if its just an interview or a whole story about a trip. How are you planing you stories? At the beginning, when there where no surf photographers and no writers on the subject surfing, we used to travel around different coasts to make a story happen. To write about it and take photos of our own. Nowadays, and I assume that all the magazines are doing it likewise, they have freelance photographers and writers everywhere – so when something happens in one area, they do have good material about it and call us and ask, if we are interested in it. 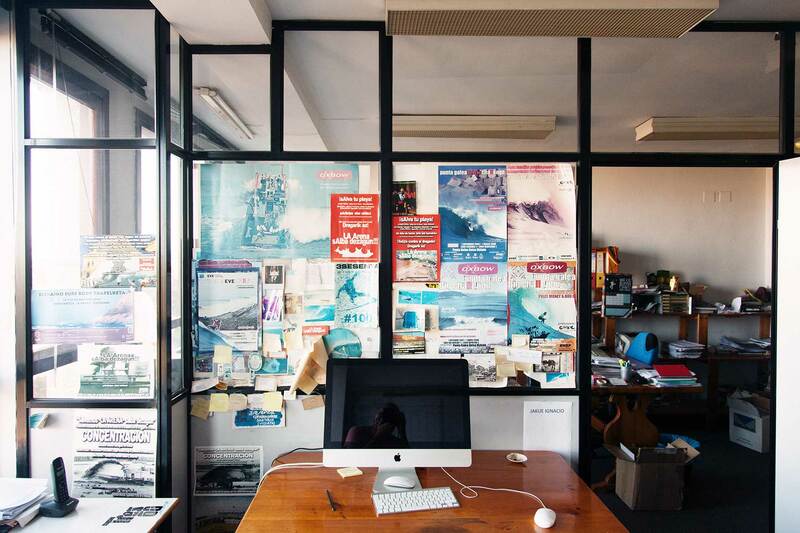 Then the surf brands: they organize their own trips – so in the last issue we did this article about Alaska with Rip Curl, who sent their people to Alaska to make a story – they send this article to just one magazine in every country. Right now I dont´t care because we are the only magazine left in Spain – but normaly I didn’t like that idea, because if you print this and then the competitive magazine prints the same article at the same time – that´s uncool. Brands like RipCurl, Quiksilver and Nixon are very active working that way. They send us material. Sometime I join them on a contest or something and do the article by myself. How much time are you spending at the office and how much outside for doing a story? Normally we produce everything here in the office. Thanks to all the computers and the internet we can do it partly at home or somewhere else as well. So, here we are alltogether but 60% of my work I do at home. So you can work anytime anywhere. How do you observe the development of the surfing scene for the last 20 years? Well, there are a lot of surfers right now. For some places its impossible to surf. 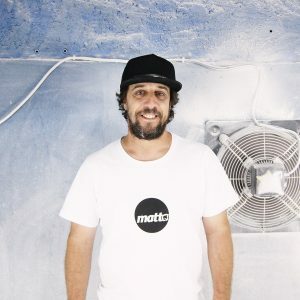 For example, I used to surf Mundaka a lot, but I won’t go there anymore, because I am not in the shape right now to compete with the 100 people in the water, fighting for one wave. But that´s life. If you want to surf uncrowded spots you have to drive west, direction Santander or even further. Here it´s really crowded. Sometimes in the morning you still catch some waves with just a few surfers – but if the surf is good, then forget about it. The ocean means everything to me. I always lived close to the ocean. I need to watch it every day. It relaxes a lot and its a place where I go for sailing, surfing or just stay in front of having a beer. If someone would tell me I need to move to Madrid to work over there or at another place inland – this would be a disaster, it would be terrible. I love the ocean. It´s so wide and open. I call Salvaje beach my local beach. I started surfing there and surfed there my whole life. I also used to work there as a lifeguard for a long time. Let´s say it makes me feel comfortable. The people are so nice – the whole area has great vibes.